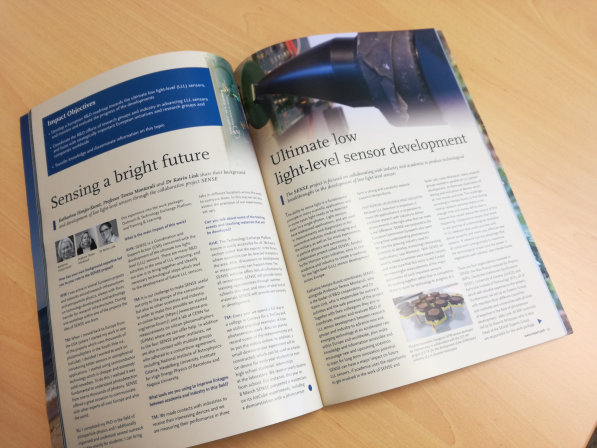 In the recent Impact journal on Applying Technology and Engineering you find an article about the SENSE project. Around 40 students participated in the 12th Trans-European School of High Energy Physics (TESHEP).The school took place in Poltava, Ukraine from July 13th to July 20th, 2018. TESHEP is mostly oriented to Master students, however several bachelor and also PhD students were present too. The core lecture program addresses Experimental Particle Physics, Standard Model and Beyond, Cosmology, Statistics and Instrumentation. The practical sessions on Instrumentation were organised and given by the SENSE member Dr. Andrii Nagai. The International Workshop on New Photon-Detectors PD18 will take place at the University of Tokyo, Tokyo, Japan between Nov. 27th and 29th as the fifth edition in a PD workshop series. The workshop aims at discussing recent progress and development of photo-sensors including SiPM, APD, Hybrid-PMT, MCP-PMT and other new photo-sensors. Their applications to different fields such as particle physics, nuclear physics, cosmic-ray physics, astronomy and medical sciences and the instrumentations related to the photo-detectors will also be covered. The workshop program will be composed of plenary sessions with invited and contributed talks. There will also be poster sessions. Details and updated information about the workshop will be available at the workshop webpage: http://www-conf.kek.jp/PD18 . Abstract submission will be open from July 30 to September 28. Over the last 4 years the FAST COST Action TD1401 established a multidisciplinary network that brings together European experts from academia and industry to ultimately achieve scintillator-based detectors with timing precision of better than 100ps, in particular to enable significant breakthroughs in diagnostic medicine and high luminosity particle physics. This September the closing meeting takes place in Athens from 26th to 28th.